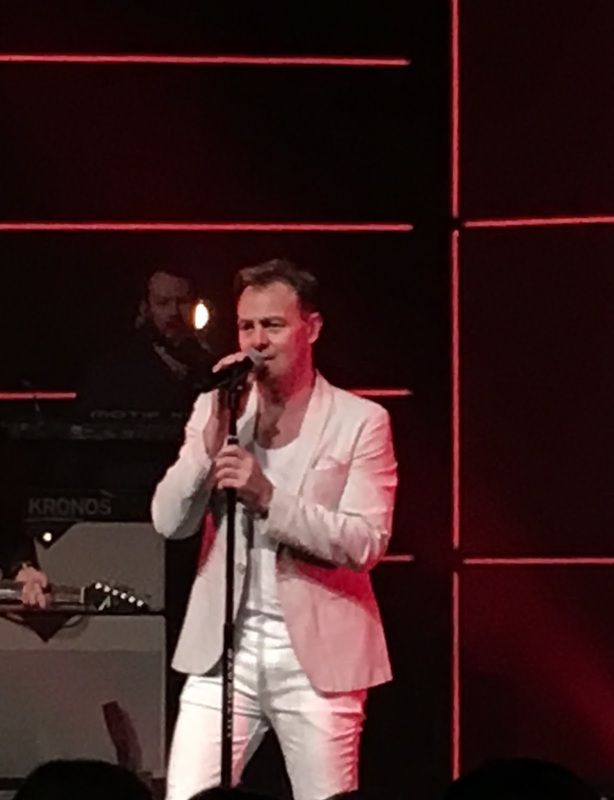 JASON Donovan was the boy next door every schoolgirl wanted to be with at lunchtime in the eighties, and nothing appeared to have changed at Glasgow's Royal Hall for his Ten Good Reasons Tour. The hands were up in the air as a throbbing mass of female hormones screamed out in adoration of the former Neighbours Star. Charlene was nowhere to be seen but there was still plenty going on down under. Banners bearing the message 'We'll be your Kylies' were waved in the air as Jason sang all of his big hits like Too Many Broken Hearts, Nothing Can Divide Us and Seal It With A Kiss mixed with a few lesser known ones like Question Of Pride and If I Don't Have You. Stock Aitken and Waterman were the chosen songwriters of the night, but it didn't matter what he sang, as the crowd lapped up every word, and every move - even cheering when he removed his jacket. 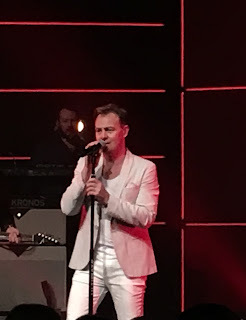 Jason who is coming to Aberdeen's His Majesty's Theatre on May 19, told his crowd: "We always end up in Glasgow and it is such a great city .It is one of my most visited towns, primarily for the theatre shows I've done here. Doing my own show is better than doing eight shows a week which is very taxing, traveling round the country. It's not so great when you have such a big family." The atmosphere was like a giant hen night and one over excited lady even began flashing her bra at the star - until she was removed by security. Jason joked with his mostly female followers, sharing titbits from his radio show and generally posing for selfies with those who found their way at the front of the stage. He was humble, musing that he had to do this because his TV and film work dried up twenty years ago. His parting note was Especially For you and everyone in the audience, including a couple of slightly drunk husbands, felt it was aimed at them. There's more than Ten Good Reasons to go see him next time he's here.